Stacy oversees operations of the Seattle Architecture Foundation (SAF) which includes working alongside hundreds of dedicated volunteers to deliver relevant educational programming to the general public. Stacy directly supports our Tour Program and Design in Depth lecture series. In addition, Stacy leads fundraising, communications and marketing efforts for the organization. Stacy has more than 15 years of experience in the non-profit sector, including working at the YMCA of Greater Seattle where she led a major $5.2 million capital campaign and four years of annual campaigns. Prior to moving to Seattle, she lived in Chicago taking on all aspects of development and outreach for various social service organizations. While in Chicago, Stacy developed an interest in architecture and design, living among skyscrapers and buildings designed by the likes of Wright & Sullivan. This interest was sparked by her husband, who is an architect, and has led to her traveling to a variety of landmark buildings throughout the U.S. and Europe. Stacy’s background reflects SAF’s target population, the general public, which helps ensure that SAF’s programs are accessible to this audience – a primary goal of the organization. 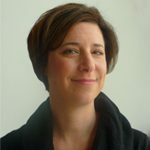 Kim Owens joins the Seattle Architecture Foundation team as Program Director. She is excited to continue the Foundation’s legacy of quality youth and family programs and the Annual Architectural Model Exhibit as well as creating new opportunities for education and inspiration. 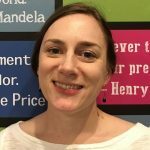 Before joining the SAF team, Kim worked as the Public Engagement Coordinator at the Renton History Museum where she scheduled public programs, managed volunteers, and developed curriculum. Kim also has experience in cultural resource management and historic preservation. 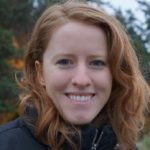 She has an MA in Museology from the University of Washington where her work focused on archaeology, local history and exhibit design. As Communications and Administrative Assistant at SAF Taylor manages communications, marketing and administrative duties. Before joining SAF she worked and volunteered at a variety of other non-profits including The Living Computer Museum, The Wallingford Neighborhood Association and the American Civil Liberties Union of Washington. Her interests include community building and inclusive, functional design.